Give your baby the best nourishment possible with breastmilk! LuvLap Sunshine Electric Breast Pump makes it easy to express breast milk and store it for further use. It has soft silicon cushions that helps in deriving milk comfortably without hurting the breasts. 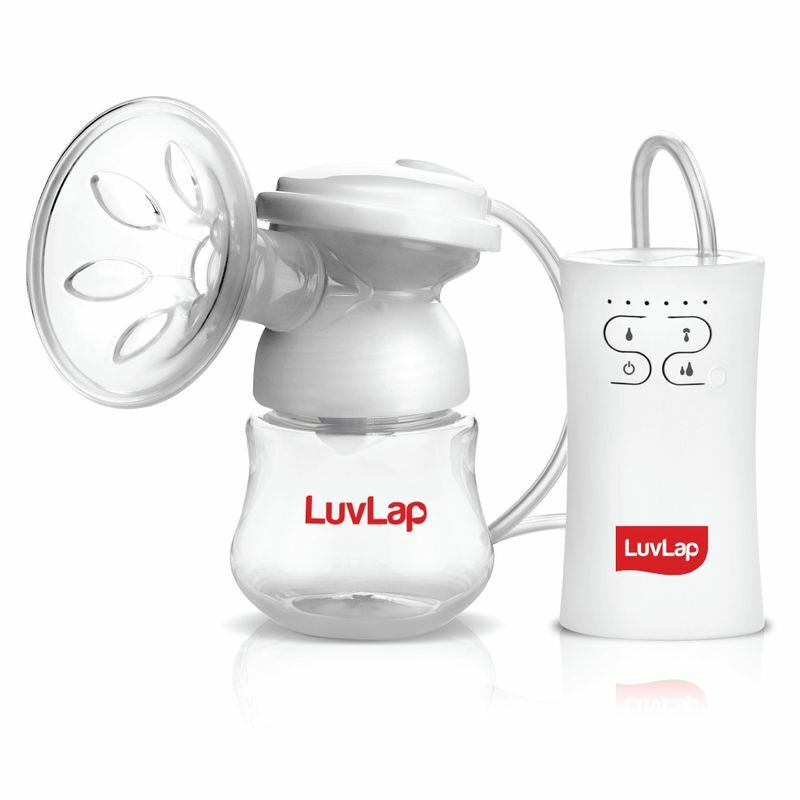 The 2-in-1 mode with 5 level operation allows comfortable and faster milk expression and makes this a seamless affair. It also helps you to sit in a comfortable during the milk expression. The boost up mode increases suction level by 10-30 percent and the closed pumping system ensures complete hygiene that prevents any contamination and cross-infection.